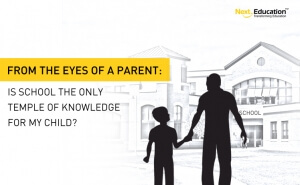 From the eyes of a parent: Is School the only Temple of Knowledge for my child? A common water cooler chat for parents who have school-going children is the steep school fees they’re paying for their child’s education. Apparently some ‘elite’ schools charge a fee that is close to the salary of a mid-level executive. But that doesn’t deter most parents from aspiring for such schools, because when it comes to their child’s education, they want nothing but the best (at least what is perceived as ‘the best’). Most of these concerned parents were born around the 80’s decade, and their school education ended near the end of millennium. Like their own parents did, these individuals will also work hard to afford their child with quality education, but the essential question is: how much of this ‘quality’ should depend on the fees? Whether it was 80’s or even a generation before that, irrespective of the school you chose, the essential source of knowledge was pretty much the same – books prescribed as per curriculum. I don’t intend to limit the scope of books (an invaluable knowledge source) to a mere subset of curriculum prescribed books but the fact is that these curriculum books (mine were NCERT books), have been prescription for most examination boards for decades, hence a diktat followed by the schools. Now circling back, let’s rephrase the question: Are the parents of today’s school going children, paying through nose, for the education that is essentially acquired through curriculum books? No matter how uncomfortable the answer is, this is the question that a parent needs to ask oneself in interest of one’s child. The idealistic view is that school is a temple of knowledge – but is it the only one? Does a child growing in today’s world have any significant advantage that the parents didn’t have in their growing years? Yes of course, and that advantage can have a potentially disruptive impact on long held conventions of education – unsurprisingly it is penetration of technology and internet. Now few readers may roll their eyes – so the ponderous author assumes that the parents never check whether such ‘expensive’ schools are technologically adept or primitive? Well I’m sure you must have evaluated your child’s school with sincerity it deserves, but it is not the schools that I’m driving at; it is the additional sources of learning, that today’s children can have access to – the e-Education solutions. Today’s e-Education solutions offer visual, intuitive ways to acquire the knowledge that much is harder to comprehend from the linear, static text of curriculum books. And it’s not just e-Education solutions, internet offers enormous level of explanation on the same topic, so much so – one can confidently frame an opinion than just learning by rote which is offered in prescribed course books. If you’re suddenly worried that your child may go overboard, and may be left puzzled during the exams – you have to trust human psychology is mostly psyched by what’s not understood well. There may be initial hiccups, but at least the child will have the option to choose what’s most suitable for his/her understanding. Now if you have realized that you, as a parent, may not have given a serious thought to this ‘outside school’ source of knowledge – may have an epiphany that this advanced self-study is no substitute for school – let me clarify: I don’t intend to admonish school education as primitive (many schools advocate e-Education). The human interaction aspect of school learning is irreplaceable. But without doubt I advocate the e-Education guided self-study as an essential supplement to your child’s education. And the impact, as explained below, goes beyond the knowledge acquisition argument I’ve made so far. Which school is most suitable for my child and my pocket? School fees and related expenses (sometimes wrongly assumed as the only investment in a child’s education) have multiple moving parts: the institution’s reputation, the location, the affiliations so on so forth and the most controversial – the results. If a certain school claims X% of its students performed well academically (with definition of ‘performing well’ linked to some marks in board exams), can a parent safely assume that school with maximum value of ‘X’ is best for the child’s learning needs? And you can’t ignore the fact that some ‘prestige’ school may require significant commutation time that eats some crucial hours in your child’s daily routine. 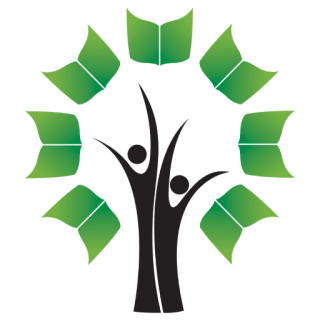 If you choose a school that’s easier on your pocket, and closer to your home, but meets the minimum quality criteria you envision for your child’s school – you can re-direct these savings in money and your child’s time in self-study that leverages e-Education solutions in comfort of home, and also potentially cut down tuition expenses if your child is having hard time catching up school. With due reverence to the teaching profession, school teachers today are thorough professionals and have the knowledge expertise, but they can’t render customized training for each student’s unique needs. A child’s natural learning tendency may not be a perfect fit for the teaching style adopted by the teacher, and such child may incorrectly perceive oneself of not being as ‘smart’ as his peers. But e-Education solution can give the child the luxury to calibrate the course (with your help) to learn at his/her own pace, without the social baggage of giving a perception of being a fast learner. With right learning methodology and a child’s innate curiosity to learn, most children can transform themselves into not just fast, but thorough learners. Are the parents of today’s school going children paying through nose for the education that is essentially acquired through curriculum books? If yes, then as a parent, you can take a confident pledge: I shall make no compromise to get my child the best possible quality education, and I shall make the sincerest of efforts to empower my child with knowledge acquisition tools outside the school boundary.